Battle Gem Ponies is finally in a playable form. There's animations, randomly assigned teams, and a win/lose condition. I even made a gameplay video to show it off. You can download the PC Demo and look below the break for more news on the project's development. The demo was supposed to make me feel good, but I'm mostly nervous instead. Hoping the bugs don't scare people off. There are sure to be some who expect a game to be polished before it's even announced. I'm trying to show the game at every stage from conception to publishing. Bugs are inevitable at this stage. I can't keep spending extra months fixing the little things. Get the essentials for each demo milestone, then fix the smaller bugs during the next cycle. The demo will have less content than I planned, so the panel will rely heavily on telling what's coming next. If these delays keep up I'll end up missing Summer 2016. Can't let that happen. I need to find a way to work on this game as my senior project. After BronyCon one of my first actions will be deconstructing the combat engine and figuring out were these bugs are coming from. Even if that means starting over and using what did work as blueprints. This is the minimum viable product so it needs to feel perfect. The rest of the game will be build around these combat mechanics. I just ran out of time this summer. Check out these numbers. Unicorn Training finally surpassed Feed The Plant in popularity and TriGrid reached 300 downloads on Google Play! The Unicorn Training demo might just hit 16K by the next DevLog too. I'm having a nice and steady 1-3 total downloads a day for the paid version of Unicorn Training. 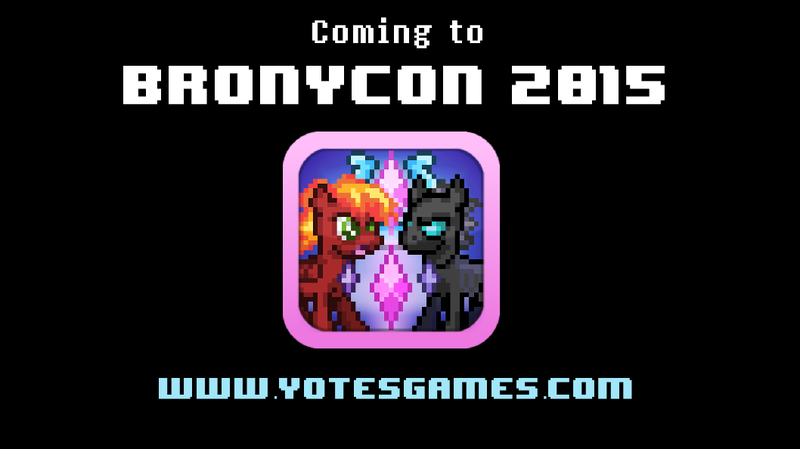 Maybe it'll double once people hear of me at BronyCon. I've been talking with a web developer Ron Golan and giving feedback on his idea for a portfolio website perfect for game developers. It's sort of a PressKit / Social media thing dedicated to promoting the faces behind the games. It's kind of like grouping all my favorite things to see on Twitter. This video from Cybermagus sums up the BGP demo pretty well. You can watch it here. the pressure is on for this weekend. I want to make a few nice mock-ups for the PowerPoint before Sunday, but for the most part the demo is what I'll be presenting. I hope there's time to at least try to fix the battle calculations code and get the rock,paper,scissors element working.